United's 2-0 win over Zorya on Thursday put us through to the last 32 of the competition as the second placed team in Group A. That means we are unseeded in Monday's draw and will play the first leg of the next round at Old Trafford on February 17. The second leg away from home will take place on February 23, ahead of a clash with Manchester City at the Etihad Stadium. The derby has been pencilled in for Saturday, February 25 but will now be moved. 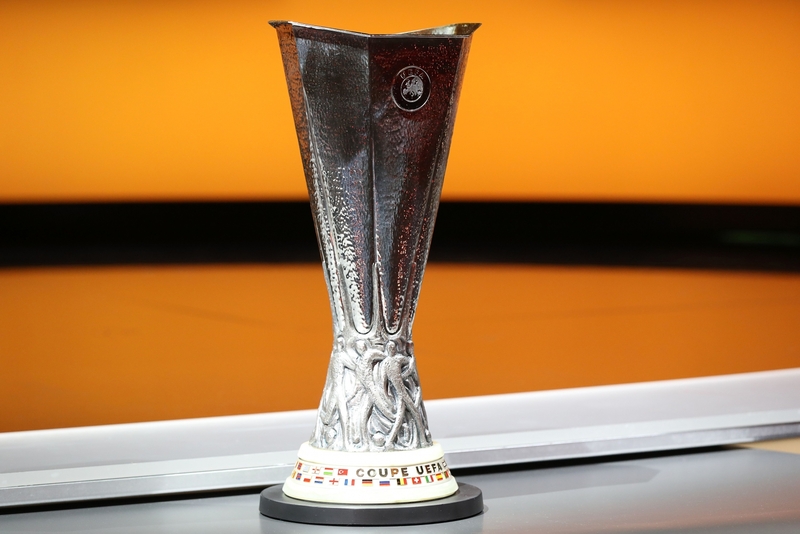 The competition has gained added importance and prestige since the announcement, in 2013, that UEFA awards a Champions League place for the winners of the Europa League. The group stage finished on Thursday and United achieved their first aim of reaching the knockout stages from a tough qualifying section. Jose has made no secret of his desire to take United all the way in the tournament - he won what was then the UEFA Cup while at Porto and, for us, Europe's secondary competition remains the only major trophy we have never won. We cannot face Fenerbahce by virtue of them being in our group but could play any of the other 11 group winners (APOEL, Zenit, Saint-Etienne, Roma, Athletic Club, Ajax, Shakhtar Donetsk, Schalke 04, Fiorentina, Sparta Prague and Osmanlispor). Those sides are joined by the eight third-placed teams from the Champions League, four of which are seeded (Lyon, Tottenham, Copenhagen, Besiktas). Mauricio Pochettino's side join us as the only other Premier League representative after Southampton went out on Thursday but teams from the same country are kept apart until the round of 16, which means we cannot play Spurs at this stage. That also applies to any remaining unseeded sides, meaning we cannot play Ludogorets, Borussia Monchengladbach, Rostov and Legia Warsaw, who also join the competition having finished third in the Champions League. The Group F match between Sassuolo and Genk was postponed due to fog and will be replayed today, with the Belgian side topping that group with a win - Serie A side Sassuolo are already out. Roma look the strongest side from those we can face, but Ajax, Athletic Bilbao, Shakhtar Donetsk and Schalke have also been dangerous opponents for United in the past. Mourinho will want travel to be kept to a minimum so a tie with Ajax, Saint-Etienne or Schalke would be the most convenient option - he won't want a return trip to Ukraine (Shakhtar) or a visit to Russia (Zenit). United's possible opponents in the last 32 are: APOEL, Saint-Etienne, Zenit, Roma, Ajax, Shakhtar Donetsk, Schalke, Fiorentina, Sparta Prague, Osmanlispor, Athletic Bilbao/Genk, Copenhagen, Besiktas, Lyon.